Uncover the miraculous story of Jesus’ sacrifice as it is powerfully and prophetically pictured through the Scriptures beginning with the Covenant rituals, Adam and Eve, Abraham, Moses and the prophets. After being in print for over 35 years, the author has added three powerful new chapters to this expanded edition of the worldwide bestselling classic. He has also written a Study Guide for individual and group study. The scarlet thread of redemption in the sacred blood covenant Jesus made with God for you will unfold before your very eyes. This scarlet thread ties the Old and New Testament together to tell one complete story. In this amazing book, you will discover how the covenants, the rituals, the tabernacle, the sacrificial offerings, the Passover, the threshold and salt covenants picture Jesus and what this means for your life. These “dusty old stories” will come alive to you with a freshness and excitement that will truly energize you in your zeal for the Lord and His Word. In addition, the author shares his personal testimony of his supernatural encounter with God and this revelation that changed his life forever. 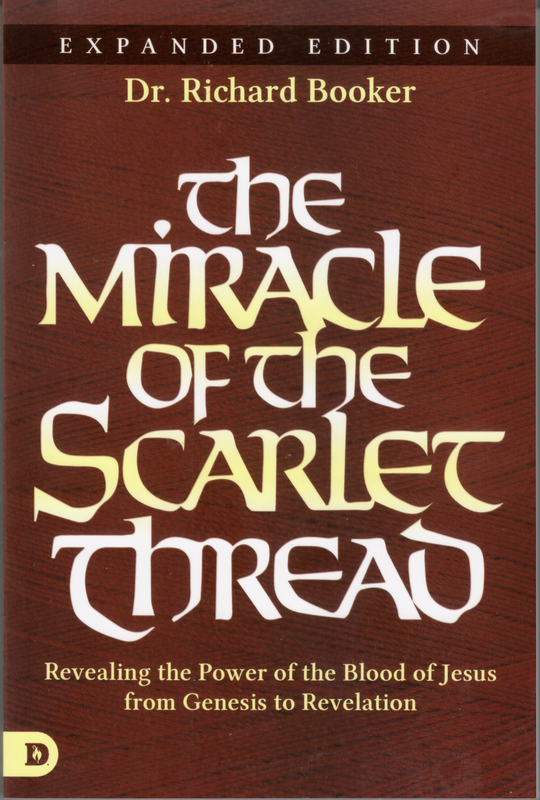 Written in reader-friendly language, God has used The Miracle of the Scarlet Thread to help thousands around the world come to a deeper revelation of God and His word. If you want to understand the Bible, you have to read this book first. You will not be able to put this book down and you will share it with everyone you can. This is the testimony of many. Order your copy today.